add() - add() method add elements to a set of matched elements. addClass() - addClass() method adds the specified class to elements matching the specified selector. after() - after() method insert content after each element in the set of matched elements. andSelf() - andSelf() method adds the previous set of elements on the stack to the current stack. animate() - animate() method performs a custom animation of a set of CSS properties. append() - append() method insert content to the end of each element in the set of matched elements. before() - before() method insert content before each element in the set of matched elements. bind() - bind() method is used to attach an event handler to an element. children() - children() method gets the children of each element in the set of matched elements. clone() - clone() method creates copy of the set of matched elements. contents() - contents() method gets the children of each element in the set of matched elements, including text and comment nodes. css() - css() method gets the value of the style property for the first element from the set of matched elements. delay() - delay() method set a timer to delay execution of subsequent items in the queue. detach() - detach() method removes the matched set of elements from DOM structure. each() - each() method is used to iterate over both arrays and objects. empty() - empty() method removes all the child nodes of matched elements from the DOM structure. fade() - The fadeIn(), fadeOut() and fadeTo() methods are use to animate the opacity of elements. find() - find() method gets the descendants of each element in the current set of mathed elements, filtered by a selector, jQuery object or an element. hasClass() - hasClass() method determines whether matched elements in jQuery object are assigned the given class. hide() - hide() method is used to hide the elements. html() - html() method gets the html content of first element from the set of matched elements. insertAfter() - insertAfter() method inserts every element in the set of matched elements after the target. 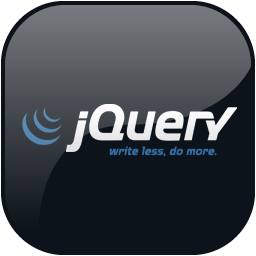 slide() - Sliding effect in jQuery can be achieved by slideUp(), slideDown(), and slideToggle() methods. stop() - stop() method id used to stop the currently running animation on the matched elements. text() - text() method gets the combined text contents of each element in the set of matched elements, including their descendants. insertBefore() - insertBefore() method inserts every element in the set of matched elements before the target. prev() - prev() gets the immediate preceeding sibling of each element in the set of matched elements. prevAll() - prevAll() method gets the preceding siblings of each element in the set of matched elements. remove() - remove() method removes the set of matched elements from the DOM structure. removeClass() - removeClass() method removes the specified class from the elements matching the specified selector. replaceAll() - replaceAll() method replaces each target element with the set of matched elements. show() - show() method is used to show the elements. siblings() - siblings() method gets the sibling of each element in the set matched elements. next() - next() method gets the immediately following sibling of each element int the set of matched elements. nextAll() - nextAll() method gets the following siblings of each element in the set of matched elements. parent() - parent() method gets the parent of each element in the current set of matched elements. prepend() - prepend() method insert content to the start of each element in the set of matched elements.